Hotel Villa Iguana is one of the oldest and most popular hotels in Bayahibe. The hotel changed ownership in November 2015. 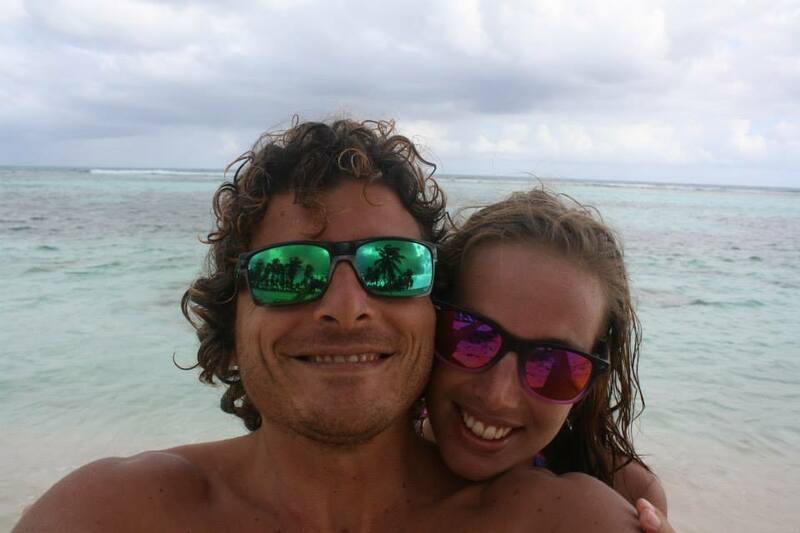 Alessandro and Kirsten Tilanus, the new owners, have been living in Bayahibe for 5 years now and they are experts in tourism and in all that concerns making customers happy. This is one of the main reasons why we decided to buy Hotel Villa Iguana when it was for sale – we were sure we would have been able to make Hotel Villa Iguana even more famous than it already was and we were determined to make it the go-to place for all of those travelers that don’t want to stay in all-inclusive resorts and are looking for a more authentic experience in the country. Offering breakfast was the first major change we decided to implement in Hotel Villa Iguana. We decided to offer a basic yet healthy and energetic breakfast that originally consisted of toasted bread, jam, butter, fruit and coffee, milk and tea. Hard boiled eggs were added recently. Breakfast is prepared and served every morning in the reception area and it is offered for free with every reservation. Alessandro and his brother Stefano manage the hotel and they always have great ideas on how to improve the experience of their clients. For this reason they decided to step up their breakfast game by adding their special homemade jam. The compote is produced with the freshest fruit available in town, following the boys’ grandmother’s original recipe – 85% fresh fruit, 10% sugar and a just a few drops of lime juice. The original recipe uses lemons, but we only have limes in the Dominican Republic. Lime’s taste is much more acid than lemon’s but they put so little in the jam that it doesn’t alter the taste of the fruit and the result is just the same – delicious. Every morning the boys visit Luz Maria’s fruit stand in the parking lot in Bayahibe and they select the best pineapples, bananas, melons and papayas to prepare the jam they offer for breakfast. The banana marmalade is the most successful so far but the boys are ready to experiment with any possible fruit and even with jalapeños! 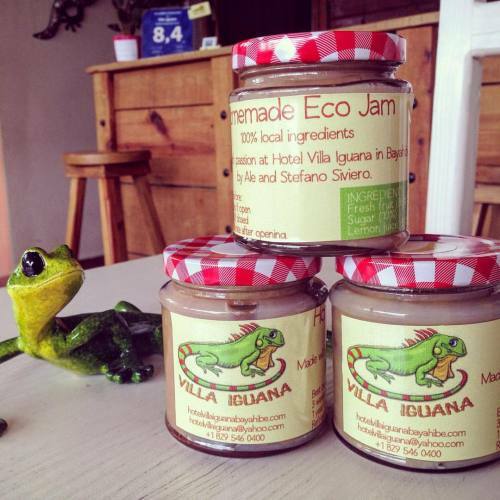 Hotel Villa Iguana Homemade Jam is included in the free breakfast and for sale at the hotel for US$ 5 per jar. Given the great success of their jam, Alessandro and Stefano started looking into producing yogurt too. It took a couple tryouts but they got it! They have only produced plain yogurt so far but they have big plans for the future – follow the updates on our Facebook page! Hotel Villa Iguana Homemade Yogurt is also served for breakfast every morning and the clients love it! Bayahibe and the Dominican Republic in general have a big problem: it is very hard to find useful information about the country online. If you are planning on coming here or if you already travelled to the island you must have noticed that it’s almost impossible to find first-hand information and “insider tips” about the places you are about to visit. This is why we are more than happy to offer our knowledge of this gorgeous country to all of our guests and to anyone who wants to know more about the island. At Hotel Villa Iguana you will find a detailed map of Bayahibe that will help you in the first couple of days. Bayahibe is a very small village and you will know your way around in the blink of an eye! Right now there’s one map in the reception/breakfast area but soon there will be one in each room and you will be able to take it with you wherever you go. Besides that – we are always available to share our many experiences in the country and to give useful advice. Are you looking for excursions and activities? Are you planning on taking a road trip around the country? Just ask us and we will be happy to help you plan your vacation! Hotel Villa Iguana is very popular as it is the oldest guesthouse in Bayahibe and, as such, it has a reputation to keep up. We won’t say that we aim to make Hotel Villa Iguana “a home away from home” for our guests. Instead, we like to think that our main goal is to make Hotel Villa Iguana a place where we would like to stay at during our holidays. We offer a comfortable place to stay while you explore the Dominican Republic. With this purpose in mind, here’s what we have done so far to significantly improve our clients’ stay. When coming to the Dominican Republic everyone should keep in mind one main thing: this is a developing country, so we shouldn’t expect the commodities that we are used to at home or when we travel to developed countries. In this day and age everyone needs to have relatively good internet access when away from home, especially to have the chance to browse in search of cool activities and things to do around. We have to say that our internet provider (almost) never let us down, but to go a step further we upgraded Hotel Villa Iguana internet connection from 5Mbps to – brace yourselves – 20Mbps! If you have visited the Dominican Republic you will know this is actually a BIG deal as it is not easy to find good internet connection in hotels and public places in general. 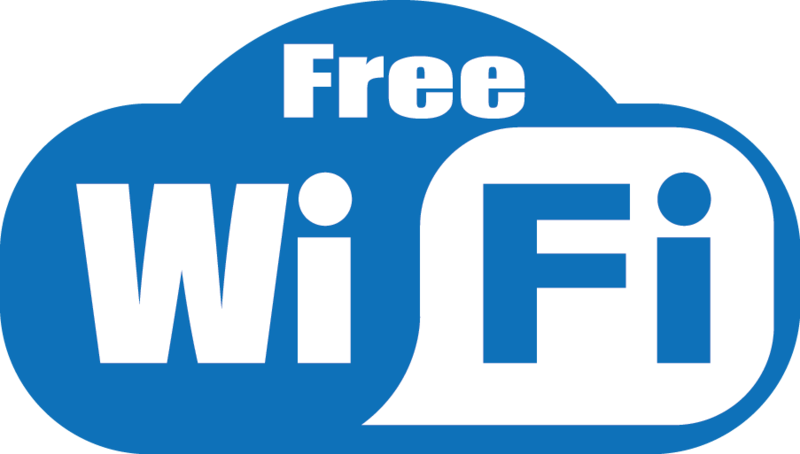 Free WiFi is available throughout the property thanks to the individual networks we set up on each one of the three floors of Hotel Villa Iguana. 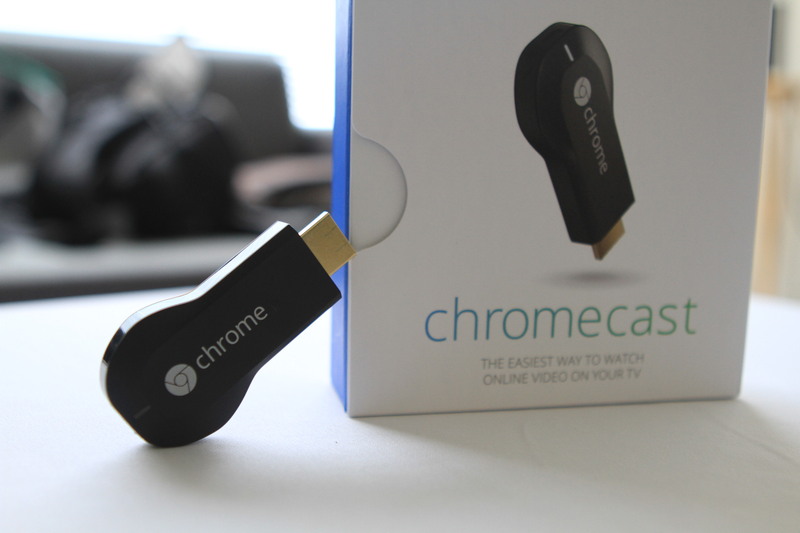 Because we love making our guests comfortable, we installed a Chromecast TV in every room. With this little device anyone can connect their laptop, tablet and other electronics and view them on tv. As frequent travellers we have now learned what we can expect to find and what we should forget about finding where we are going. Hotel Villa Iguana is a relatively inexpensive hotel, our clients are travellers that prefer the non-all-inclusive experience. We know that for these travellers one of the most important things is travelling “light”, avoiding bringing things that take up precious space like shampoo and foam bath. For this reason we decided to install soap dispensers in the bathroom of every room. The dispensers are filled up daily and our guests now don’t have to worry about bringing their own body care products from home. A (surprisingly powerful) hairdryer is also available for our guests – just ask at the reception if you need it. This is just the beginning for us and we will keep on researching ways to make your stay at Hotel Villa Iguana more and more comfortable.